Dorothy Parker Rothschild (1893 - 1967) was a master of the short story, dramatist, screenwriter, and sharp-tongued critic, but she was also an accomplished poet. She represented one of the most vivid feminist and successful literary writers in women’s history. She became known as one of the most brilliant writers from the early 1900s. 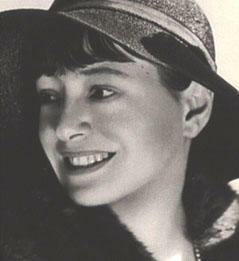 Her poetry earned the admiration of critics such as Odgen Nash, Somerset Maugham, and Edmund Wilson. As it may be a bit difficult for you to understand it, I decided to include a French translation of this poem. Les médicaments donnent des crampes. Le gaz sent trop mauvais.